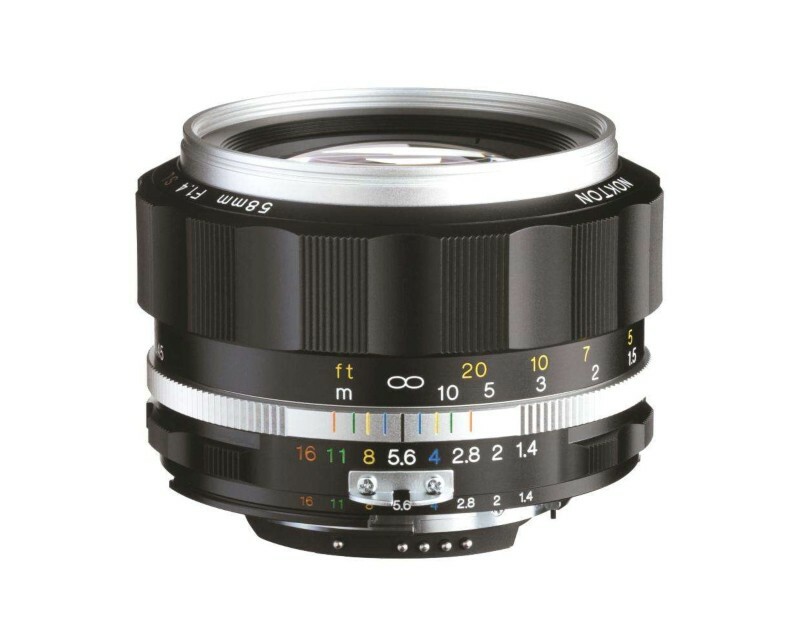 The Voigtlander Nokton 58mm f1.4 SLII-S Manual Focus Lens is a sturdy, bright manual focus lens that features high-quality traditional construction with classic styling, while using modern optical lens technology. This lens is part of the SL II series, which feature a CPU (Central Processing Unit) built into the lens. Having the CPU integrated into the lens allows it to support 3D Matrix metering and matrix balanced fill flash on all SLR cameras, even DSLRs (in manual focus). In addition, this also means that the aperture is now controlled by the camera's command dial. This lens offers a bright f/1.4 maximum aperture, with a minimum focusing distance of 45cm, with a maximum magnification ratio of 1:5.8. Used on an APS-C sized DSLR camera, this lens is equivalent to an 85mm lens in 35mm terms, making it ideal for portraits, travel, or photojournalism.